Heading to Galway Skates or the Cork Science Festival Travelodge Ireland has hotel in great locations at great prices. Transforming Galway Leisureland into a winter wonderland Galway Skates features a 500m2 Ice Skating rink Galway Skates on one of the best Christmas events in Ireland for all the family. Cork Science Festival is a celebration of science events taking place this November. Experience a program of free public engagement events, open days, science tours, talks, exhibitions, shows, workshops and school events. Travelodge Cork Airport is located just off the Cork South Ring Road at the Airport Road, just 5 minutes from the main terminal at Cork Airport and 15 minutes from Cork City Centre. Hotel facilities include Complimentary Guest Car Parking & Wi-Fi and 24-hour reception. There is also a restaurant located next to the hotel. 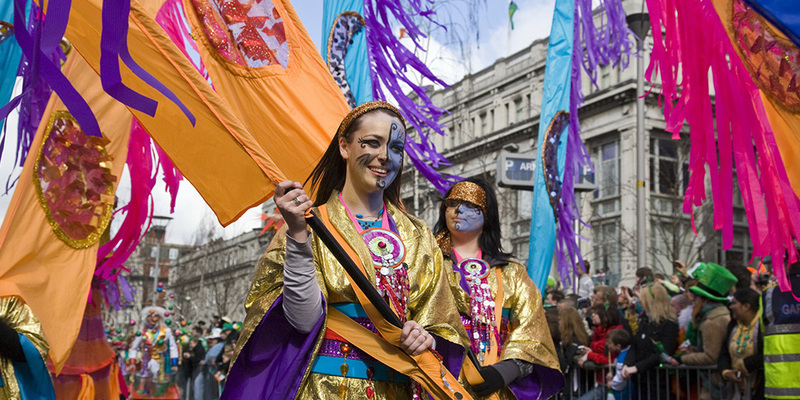 Gather together in the heart of Dublin with family and friends, as the Custom House, one of Dublin’s iconic landmarks, becomes the centre for this year’s New Year Festivities. Travelodge Dublin City Centre, St. Stephen’s Green is located on Mercer Street Lower, next to Stephen’s Green Shopping Centre. The hotel is 15 minutes (3.6 km) from Heuston Train Station and 35 minutes (15km) from Dublin Airport. Hotel facilities include Guest’s Car Parking, Complimentary Wi-Fi and 24-hour reception. The hotel was refurbished in 2017. Travelodge Dublin City Centre Rathmines is located on the R114 Rd, Rathmines Road lower. The hotel is 10 minutes (2.5 km) from Dublin City Centre (St. Stephen’s Green). Hotel facilities include Guest’s Car Parking, Complimentary Wi-Fi and 24-hour reception. The hotel was refurbished in 2017. 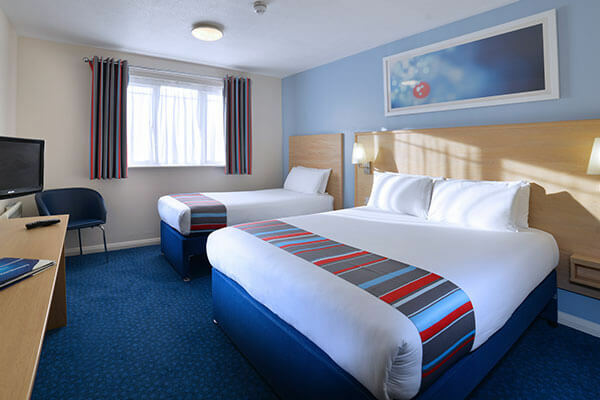 Travelodge Dublin Airport North, Swords is located just off the M1 Dublin to Belfast Motorway at Airside Retail Park, Swords. The hotel is 8 minutes (3.8 km) from Dublin Airport terminals 1 & 2 and 17 minutes from Dublin City Centre (3 Arena). Hotel Facilities include a Restaurant & Bar, Complimentary Guest Car Parking & Wi-Fi and 24-hour reception. The hotel was most recently refurbished in 2016. Travelodge Dublin Airport South is located just off the M50 Dublin Junction 4. The hotel is 10 minutes (6 km) from Dublin Airport terminals 1 & 2 and 15 minutes from Dublin City Centre (O’Connell St.). Hotel facilities include a Restaurant & Bar (Breakfast only), Complimentary Guest’s Car Parking & Wi-Fi and 24-hour reception. The hotel was most recently refurbished in 2016. Travelodge Dublin Phoenix Park is located just off the M50 (Dublin Ring Road) Junction 6 on the Navan Road. The hotel is 17 minutes (12 km) from Dublin Airport terminals 1 & 2 and 10 minutes (6 km) from Dublin City Centre. Hotel facilities include a Restaurant & Bar, Complimentary Guest’s Car Parking & Wi-Fi and 24-hour reception. The hotel was most recently refurbished in 2017.